Accident Coverage: Helping Insureds Cope with the Unexpected – David M. Kulawiak, Inc. According to the nonprofit Home Safety Council, the top five causes of unintentional home injury by cost are falls, struck by/against, poisoning, cut/pierce, and overexertion. Falls alone cost an average of $100 million annually and cost 5 times more than the next highest cause of home injury. Adults over age 70 and children ages 1-4 have the highest rates of nonfatal unintentional home injury. Both groups are particularly vulnerable to falls, which rank as the leading cause of nonfatal injuries in both age groups. 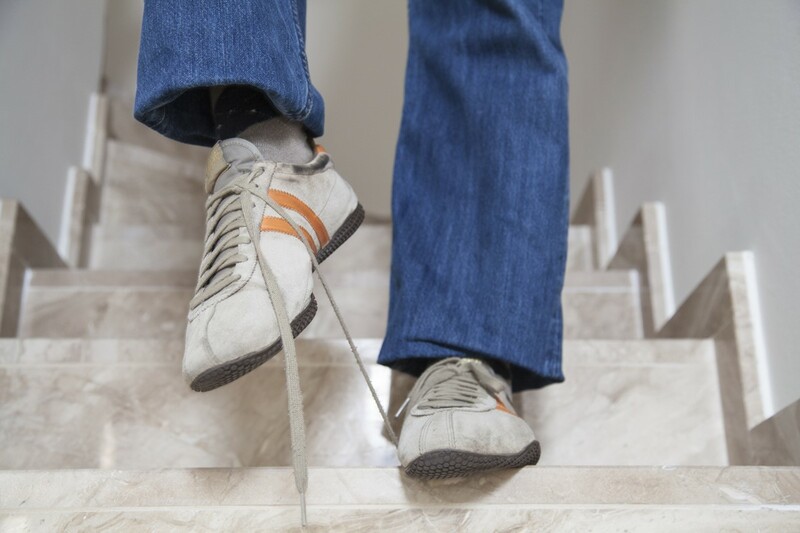 In addition, falls are the leading cause of home injury death in older adults, accounting for 52.5% of all home injury death for adults age 65-74, 68.2% among adults age 75-84, and 78.4% of home injury deaths for adults age 85 and older. Health insurance helps pay for treating non-occupational accidental injuries that occur in the home or elsewhere. However, even with coverage, a serious accident could leave your employees with significant out-of-pocket medical expenses. Consider the terms of the “average” employer-sponsored health plan: it has many gaps, as the accompanying chart illustrates. Coinsurance/hospital admissions and outpatient surgery 62% of covered workers have a plan that requires coinsurance for hospital admissions; 64% have a plan that requires coinsurance for outpatient surgery. The average coinsurance rate is 19% of covered charges. Copayments/hospital admissions and outpatient surgery 15% of covered workers have a copayment for hospital admissions; it averages $280 per admission. 5 percent of covered workers have per diem charges, which average $297. Copayments/office visits 73% of covered workers have a copayment for office visits; they average $24 for primary care and $36 for specialists. Source: Kaiser Family Foundation, Employer Health Benefits 2014 Survey. For employer-sponsored health plans, single coverage. Accident insurance helps your employees pay for these coverage gaps if an accidental injury occurs. Policies vary, but most cover ambulance service, emergency room visits, prescription drug expenses, physician and nursing expenses, x-rays, cost of repairing teeth injured in an accident, and more. Plans will pay up to the limits selected; insureds simply provide proof of the expense and the insurer will provide reimbursement. Plans generally exclude coverage for injuries resulting from war, while committing a felony, from suicide and injuries occurring while engaging in a dangerous activity (including hang-gliding, water or snow skiing or snowboarding, handling explosives, etc.). Most plans have very low deductibles—as low as $100—and pay up to $10,000, depending on the limits selected. Coverage is very inexpensive—of course, the higher limits your employees select, the more they will pay. Be aware: Most plans pay on an “excess” basis—that is, they will pay a claim only after all other applicable insurance policies have paid. If accidental injuries are covered by another plan, the insured must submit a claim to that plan first. However, if your employees have no or limited medical coverage, an accident insurance plan can provide the coverage needed for some of life’s unexpected misadventures. For more information on voluntary accident insurance, please contact us. ← Horseplay: Who Pays When Someone Gets Hurt?